Guests at the Dragonara Resort looking to get their heart rate going must visit the Dragonara Casino. It is situated inside the magnificent Dragonara Palace, a landmark property and is Malta’s oldest casino. Even if you are not a fan of gambling the casino is a stunning site with its origins as a 19th century palace built by the Marquis Scicluna and surrounding colonnaded veranda that borders onto the sea. The casino offers 24/7 gaming and entertainment as well as a beautiful bar and highly regarded restaurant. A main characteristic that draws visitors is the original architecture and interior features that remain in the casino. These features express a blend of elegant charm, extravagance and pleasure. 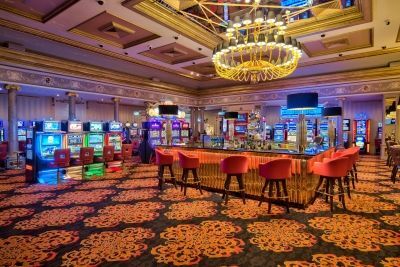 The Dragonara Palace Casino is a must see for guests staying at The Westin Dragonara Resort Hotel.